No halloween is complete without a well-thought-out scary costume. 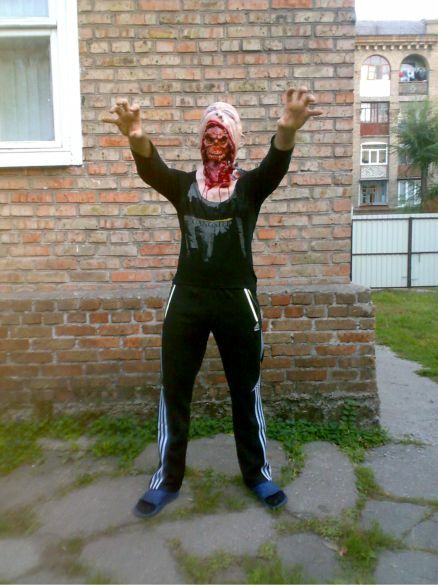 In case you are able to get your hands on a proper halloween mask, you could complement this mask with a self-made costume to get a nice zombie costume. 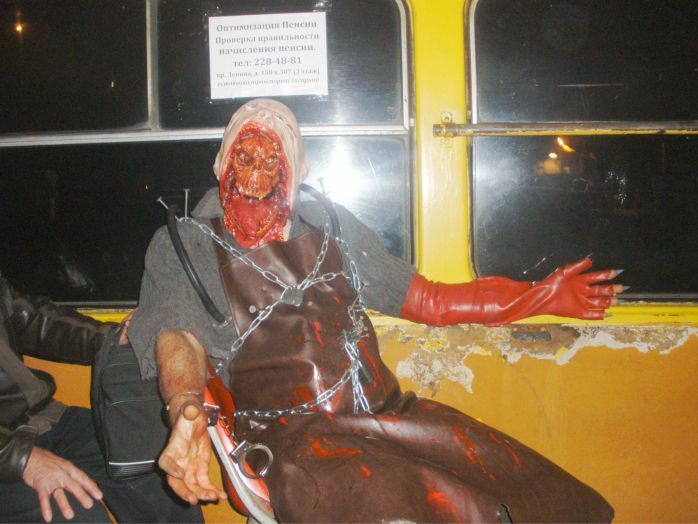 Vadim from Ukraine has done so and sent us some pictures of the resulting costume that was custom made for a halloween party. What we can see here is a demonic creature, wrapped into a menacing outfit. 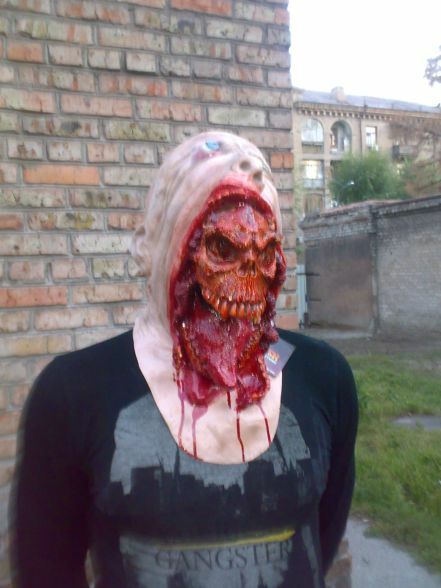 The dominating element of the costume is the abhorrent mask with the emerging demon skull, which seemingly surges from his human victim in a dramatic way. 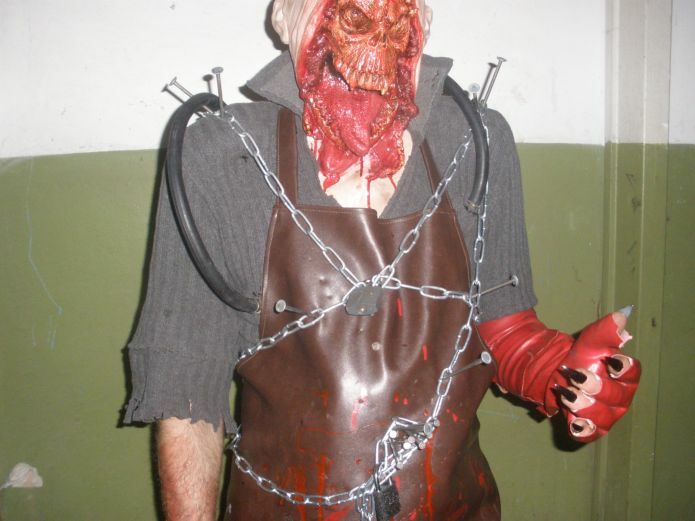 The related costume consists of an old apron, a sweater and a massive work glove made from rubber. 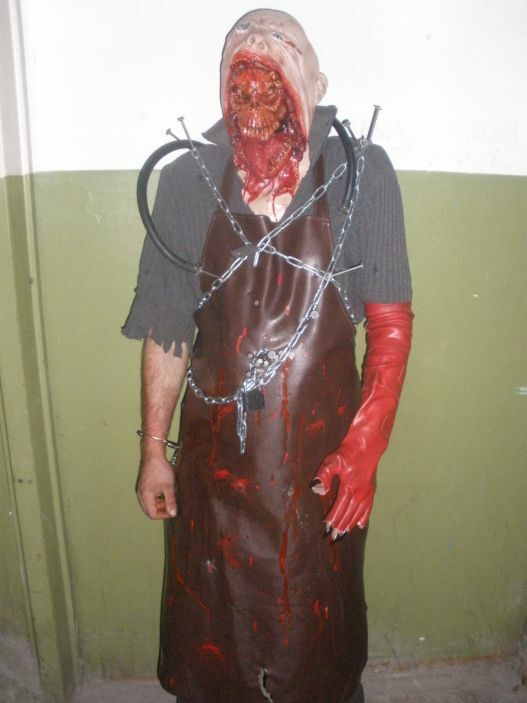 The costume has been combined with numerous accessories such as nails, tubes or steel chains. As can be seen in the pictures, if these components are well combined, the result will be a remarkable halloween costume. The seemingly sharp fingernails can be created by using artificals nails that were varnished in black and sandpapered to make them look sharp. Some remarks on safety: be careful when using the nails, it is advisable to remove the sharp tips and fixate them into a piece of wood to avoid injuries. Also, the fingernails should be used with necessary caution. Finally, the mask should be put on only at the location of the party and used with care, as your senses might be somewhat impaired while wearing the mask. 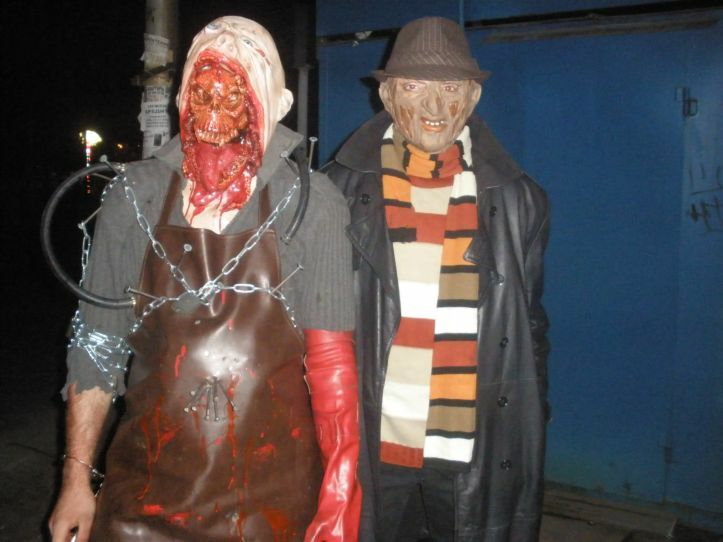 This entry was posted in Costumes, Halloween, Masks and tagged costume, halloween, halloween mask, horror, horror costume, horror mask, maschera, maske, masque, scary costume. Bookmark the permalink.